The first time I ever drank alcohol (Mom, stop reading now) was at a party at Jeff Dakin's house. I was 16, I think, and there was Budweiser in cans. As I couldn't stand the taste of the champagne of beers, I emptied a can into an oversized, plastic cup and mixed it with OJ, which was all I could find in the Dakin family fridge that struck me as even plausible to combine with pissy lager. And so my career in mixology began . I remember being so embarrassed by this that I only did my mixing when nobody else was in the kitchen, but I also remember coming up with a name for my concoction -- the Rosebud -- which means I must've talked to other kids there about it, or at least that I saw the humor in what I was doing. 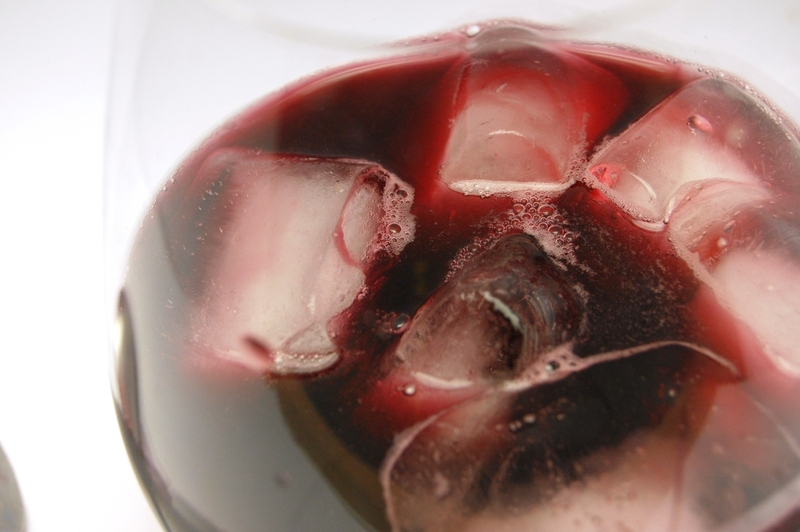 In Spain, red wine and Coke -- sometimes known as Kalimotxo or Cocavino -- are often mixed together to drink at parties or street festivals. It's kinda considered a kids' drink (as in "these crazy kids today," not "my kid just turned 9 months old") because, as my behavior chez Dakin evidences, an adolescent's bank account mandates the purchase of cheap, less-than-desirable-tasting bilge, just as a teenage mindset is a prerequisite for believing that mixing dolla hooch with Coke sounds like an awesome idea. 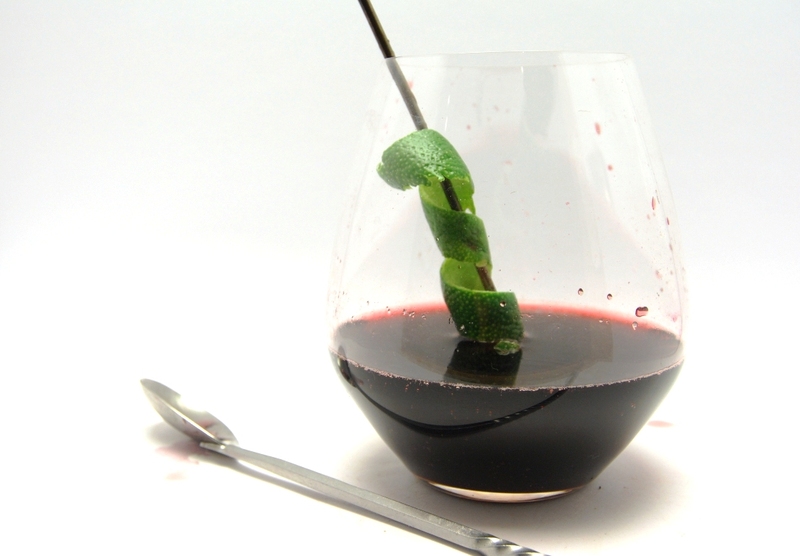 Myriad suggested ways to prepare/guzzle red wine and Coke: Sometimes Kalimotxo is served in a short, glass tumbler; other times it's served in a "tall" glass, except for those other, other times when a "one liter, plastic drinking glass" is what's called for. 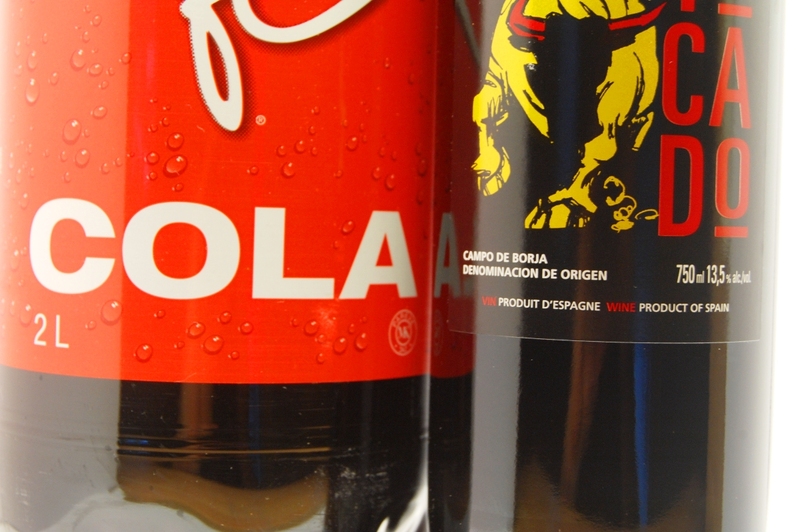 Then there's that thing where you half-empty a two-liter of cola, pour your one-liter bottle of vino in, and voila! You've just bartended up a party-sized batch that comes in its own, cooties-friendly, communal chug jug. - I started with just red wine, Coke and a healthy-sized lime twist. Getting that hit of citrus up the nostrils before diving in was palate-confusing, but in a good, refreshing, smile-inducing way. 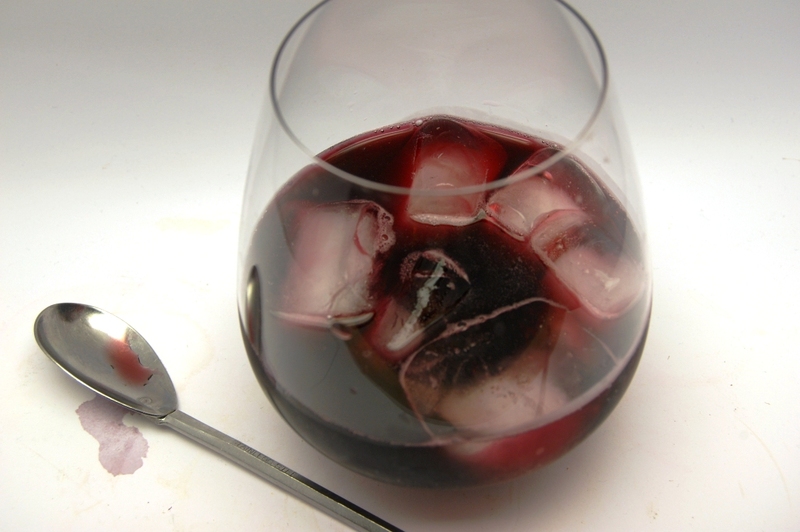 - Instead of blackberry liqueur, I did a 15ml of creme de cassis, as that was the closest facsimile I had on hand. This combo tasted like a good imitation of bad wine. It was like church wine, really -- very heady and juice-like in the way cheap, sugary booze often is. - I will admit, I did not try doing a dash, nor a splash, nay, nary a drop of ouzo. That just sounded nasty. - Ultimately, straight-up, equal parts red wine and Coke was what I liked best. The drink was pleasingly crisp rather than syrupy sweet. Still a curious bugger, to be sure, but one I could easily envision myself enjoying around adults my own age, which is probably how old Mr. and Mrs. Dakin were at the time, now that I think about it. 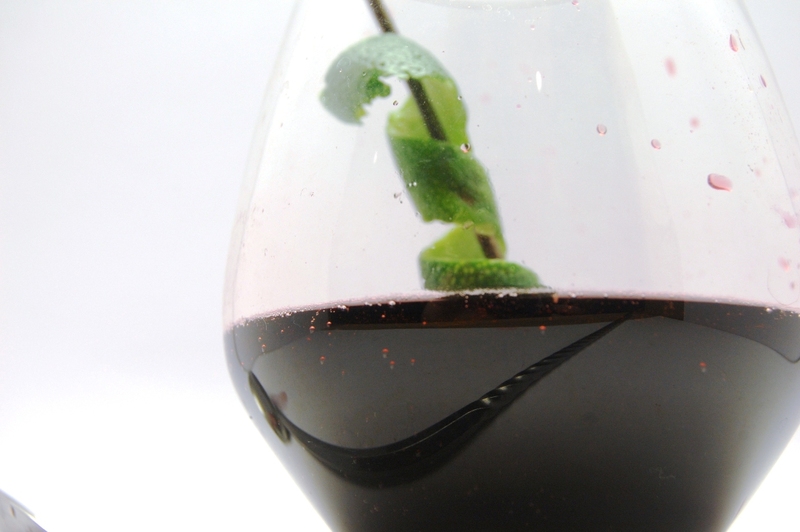 Pour red wine, then cola into a large, ice-filled tumbler or stemless wine glass. Garnish with lime twist if desired.